If your offices are situated in or around London and you are planning where to hold your Christmas party this year you are certainly spoiled for choice. London offers a multitude of venues, from classic pubs to contemporary bars to boats on the Thames. So how do you choose? We found it difficult too! But we managed to narrow it down to five, and picked a venue that had something a little different to offer each party. 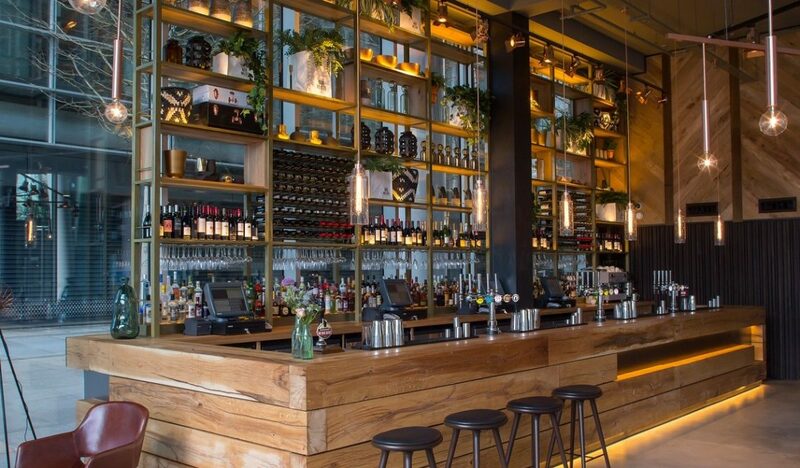 Right in the centre of London is The Anthologist, an all-day bar and restaurant that not only has two cocktail lounges, but a deli area, mixology table and a private function room with its own terrace. As this is a cocktail bar, the emphasis is on cocktails but there’s also an extensive wine list and a great seasonal menu. You can book a weekday cocktail masterclass where you’ll learn everything about mixing and the origins of cocktails, plus the drinking of course! 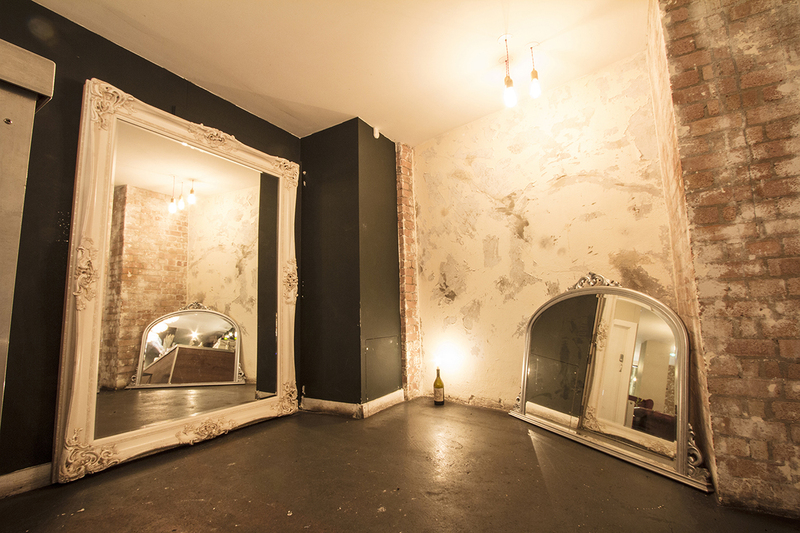 Or book one of the private rooms with your Christmas guests. London is famed for its themed pubs and clubs but without doubt the best-known is the London Dungeons. Begin the evening at the Riverside Rooms which offer fantastic views of Westminster and the London Eye. 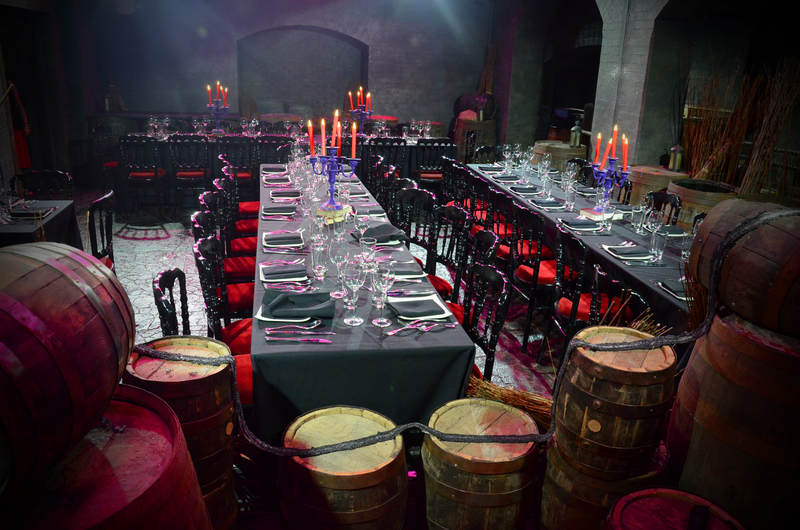 Enjoy a three-course Christmas meal before being taken into the London Dungeons to experience an interactive theatre show with characters from London’s darkest dwellings. 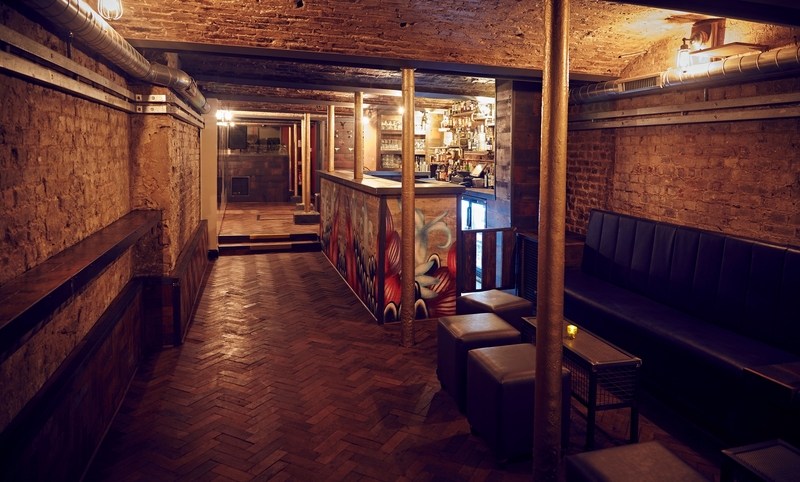 Finish off the night in the Dungeon Tavern and dance away to tunes from the resident DJ. Everyone loves a secret don’t they? Imagine bringing your guests to an ordinary enough building, then asking them to step through the looking glass, whereupon they enter a secret room. This room is full of quirky characters, moody lighting, extravagant fixtures and vintage furnishings. What a way to start your party! The inspiration for this venue is all Lewis Carroll, and the Looking Glass theme continues with special concocted cocktails that follow the White Rabbit on his journey through Wonderland. There is also live music fused with performance art that is a real must-see. Situated at the end of Brick Lane, you could say that Apples & Pears is a contemporary version of the old traditional knees-up bars you used to get in London. There’s live music every weekend that changes on a regular basis, so expect 80/90’s disco one week and soul/hip hop the next. The bar is located over two floors which makes it perfect for private parties as you can hire out one or both, depending on how large your group is. There’s also a heated garden at the back and you can order canapés or bowl food for your guests. 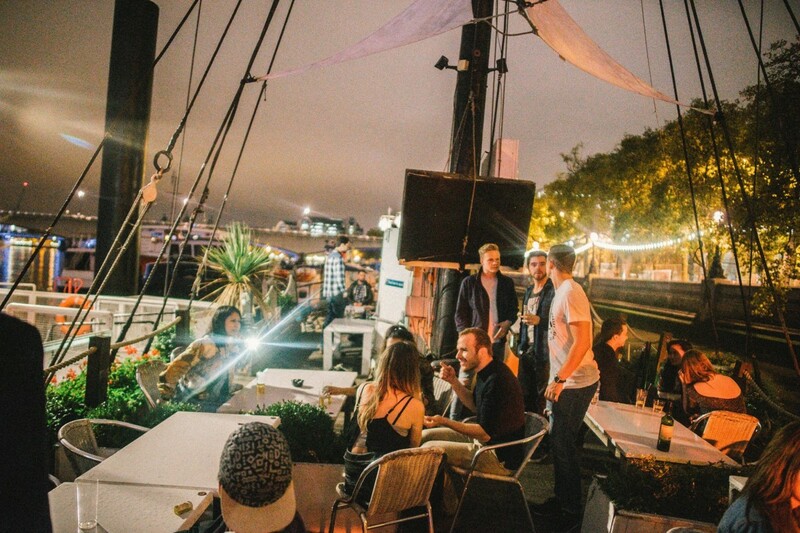 Described as ‘London’s best moored boat’, Bar & Co is situated between Holborn and Temple and offers amazing views of the London Eye, Houses of Parliament and Oxo Tower. You can hire out the whole boat for your party and on-board is a bar, restaurant and club. The staff will cater to your party’s requirements and entry onto the boat is free. The open deck make this a great spot for seeing in Christmas and the late drinks licence means you can party until 3am. 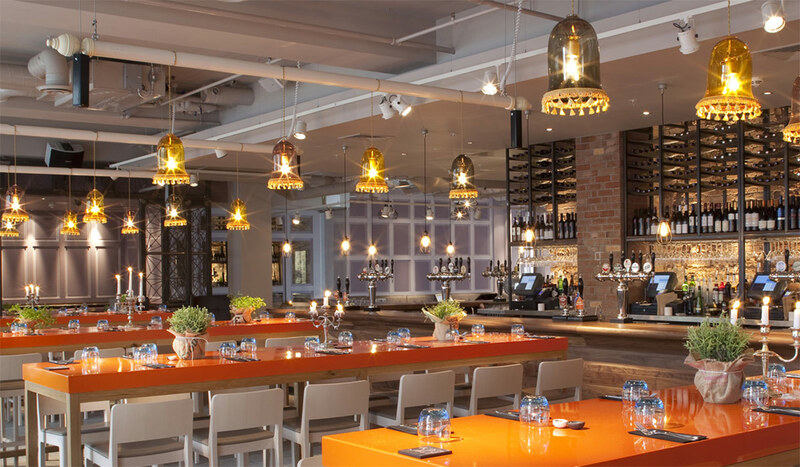 If you will be having your staff party at your work place, we can provide you with the furniture & catering equipment hire as well as a range of barware and mobile bars.